Sports Facility Services Limited was set up in June 2013 with the primary purpose to supply and install sports equipment in sports halls and gymnasiums. We are experts in sports netting, basketball goals, rebound boards, climbing frames and floor anchors. With our experience and knowledge we can provide standard and bespoke solutions for sports equipment installations. 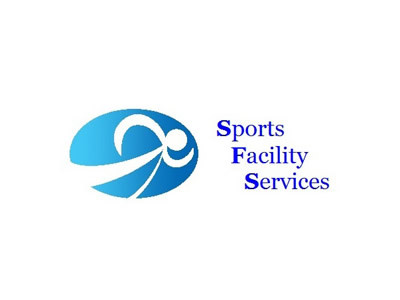 The philosophy of Sports Facility Services is centred on honesty and integrity. We do what is right for our clients and we do what we say will do without cutting corners. Managing Director Andy Aley has over 12 years’ experience within the sports hall and gymnasium equipment and installation industry. With an engineering background Andy started as a sports equipment installation engineer in 2002 and after just 2 months training was promoted to team leader. Five years on the tools lead into management where Andy covered every position in the process which included leading management roles in Installation, Contracts, Project and Technical Sales. As a site engineer Andy carried out hundreds of sports hall installations throughout the UK and as a manager has been responsible for even more successful projects. Health and Safety is of paramount importance which we treat with the greatest of respect. We believe that by giving good advice based on the facts and highlighting the pros and cons enables our clients to make informed decisions and the right choice. We offer impartial advice and provide the product and service that best suits requirements and budget. Underlined by our philosophy we will not “sell” something because it is more benefit and profitable to our business. Neither will we comprise on quality because the bitterness of poor quality remains long after the sweetness of low cost is forgotten. We take pride in everything we do and we don’t just meet the minimum standard, we exceed expectations. We understand what is important to our customers and will work with you all the way through the process. Sports Facility Services is the experienced specialist in sports hall and gymnasium equipment and installation. By drawing on our experience and using our extensive industry knowledge combined with the fact we use the best quality products available we supply our clients with tailor made solutions ideal for their establishment and sporting needs.